A blunder here and a blunder there on WordPress can be deadly. It can kill your SEO campaign that you’ve otherwise spent good money on, prevent you from ranking, and it can damage your bounce rate. As a consequence, conversions stay low and the sales don’t come. Fortunately, WordPress isn’t the most popular web software on the planet for no reason. These mistakes are easy to fix. With some quick work on your end, you’ll set your site up for success. Let’s check out the biggest blunders in WordPress and how to prevent them. This is a mistake people who are in a rush and don’t have a checklist tend to make. It’s a costly one, but it’s also one that’s super duper easy to fix. Lots of people realize their blunder after they’ve published the post and it’s started crawling. At which point it’s too late to rectify without throwing up an error when people still try to land on the page with the original URL. The best thing to do is to include the title (or the keyword) in your URL and get rid of the date and anything else that looks messy. You might think that blocking search engines like Google is such a schoolboy mistake to make that there’s no way you’ve made it. However, most of us block search engines while we’re developing our site so that a half-finished version doesn’t show up in the SERPs (also a good reason to use a staging site). And because it’s human nature to forget, some of us forget to unblock them. A year later and with still no signs of a site visitor, we’re driven completely insane. This is easy to fix. Simply head to your “Settings” menu and select “Reading.” At the bottom, you’ll see “Search Engine Visibility” with a box next to it. Uncheck the box if you want search engines to crawl your site. 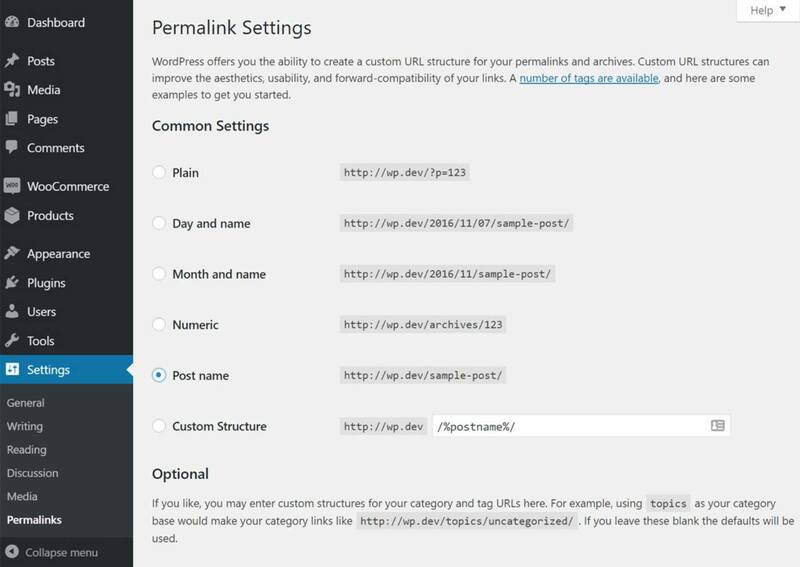 WordPress doesn’t really automatically do SEO for you. Instead, you need to invest time and money in your campaign so that you climb the rankings organically. SEO plugins are super helpful because they add sitemap.xml to Google Search Console, which lets Google crawl your site better, therefore improving the chances of you ranking higher. WordPress SEO plugins also help you optimize your posts and pages for keywords, as well as add open graph tags that encourage more social sharing. If you’re new to SEO, failing to add an SEO plugin means you’re putting yourself at a disadvantage. There are lots to choose from, with Yoast and SEMrush among the most popular. At the same time, a plugin shouldn’t be the only weapon in your armory. To properly attack SEO and improve your visibility on Google, it makes sense to download a performance or analytics tool, too. SEO performance tools such as Nightwatch let you track your SEO campaigns once they’ve been implemented so that you can see if they’re working or not. Once you start to refine your SEO with WordPress and your performance tool, you’ll start to climb and climb, and your page views will increase. Like it or not (and no one does), websites sites get hacked, and the reason could be down to an insecure server. This issue is preventable: you could pay extra for a better server, or look into managed WordPress hosting. Remember, you get what you pay for. When you add new user accounts, take great care. If you’re working on a team project and need to add multiple authors, use the Force Strong Passwords plugin to cover your back. Facebook is now a major direct traffic rival to Google, and it’s possible to get lots of page views by producing awesome content that gets shared on social media. But you can’t just launch a WordPress site and expect it to be seen by all. Google is still number one when it comes to organic traffic, and to climb the SERPs, you need to optimize your posts and pages for keywords. When it comes to picking the right keywords, a little research is required. 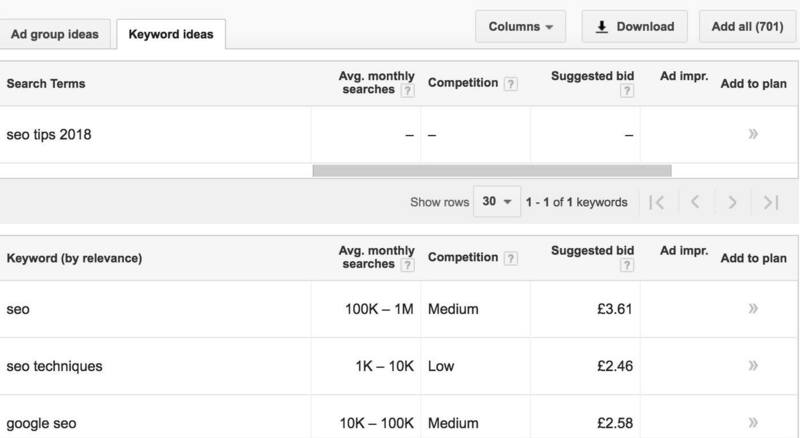 You can use Google’s Keyword Planner tool to help, while Google’s Related Searches also helps you to pick keywords based around your main ones. Type in a query and check the related searches section at the bottom for keyword variations. Alternatively, you could use your SEO performance tool to reverse engineer what your rivals are doing. This means that you check out the keywords they’re using in their campaigns, and adopt the best-performing ones yourself. It’s not enough that you slot a few keywords into your blog posts, however. The major mistake people make when it comes to WordPress is not optimizing their pages. If you don’t add your main keyword to your title, at least one subheading, page URL, meta tag, alt-tags, and images, you’re missing a trick. But SEO is all-encompassing and keyword optimization is just one element. Don’t forget to check SEO metrics to get the whole picture, too. All in all, these are some pretty hefty WordPress blunders that, while big and downright horrible, are also easy to avoid. We hope this article has helped and that you start to climb the SERPs. Good luck and don’t forget to share! Thank you.. Great tips all in one place..